Imagine a community where every person has a good paying job, a decent education, affordable and adequate health care, transportation, safe and affordable housing, and no history of trauma or institutional racism. This is an image that can lead to health equity for a community. According to the Centers for Disease Control and Prevention, health equity is achieved when every person has the opportunity to “attain his or her full health potential” and no one is “disadvantaged from achieving this potential because of social position or other socially determined circumstances.” Unfortunately, in communities across the nation and in Alaska, health disparities are a reality that continue to place an enormous economic burden on society. In the United States alone, direct medical care (e.g., hospitalization) and indirect (e.g., lost productivity) costs of health inequities totaled $1.24 trillion over a three year period. Despite this, communities have the capacity to make a difference. From addressing underlying issues that lead to poverty, to collaborating with non-traditional partners such as housing providers to increase access to affordable housing, everyone can play a role in moving a health equity agenda forward. In 2013, the Association of State and Territorial Health Officials released five key strategies to promote health equity across health agencies. One key strategy was to build capacity at all levels of decision-making (both within health departments and in the community) to promote and sustain community solutions for ending health inequities. 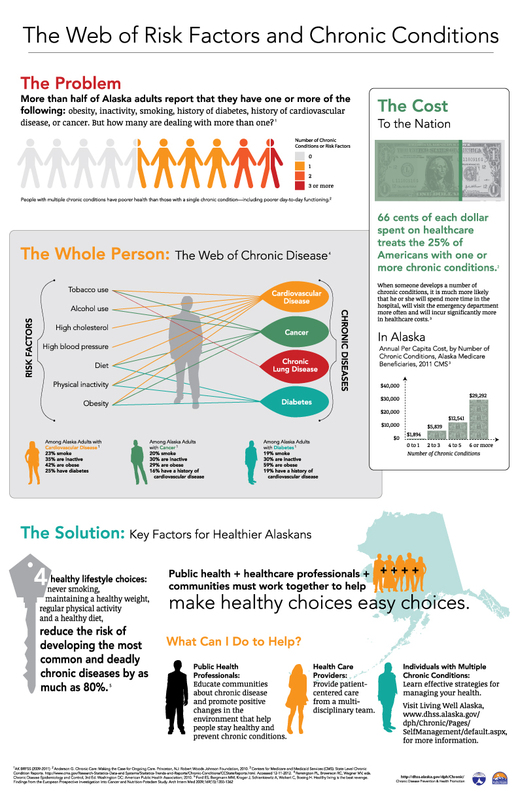 With this in mind, the Section of Chronic Disease Prevention and Health Promotion formed a Health Equity Group (HEG) to start the conversation about how the Section could play a role in achieving health equity in Alaska. The HEG focused initial efforts on building capacity through three key activities. First, HEG developed a section-wide health equity values statement. Second, HEG drafted a policy to ensure health equity concepts are integrated into all requests for proposals in outgoing grants and contracts. Lastly, HEG developed a health equity 101 training for all staff to take within their first year of employment. The health equity 101 training was developed in response to requests from staff interested in learning how to apply health equity concepts to the work they do in their programs. 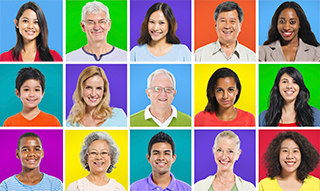 Although the training is evolving, it currently provides an overview of health equity terms, Alaska-specific data displaying disparities within chronic disease risk factors, examples of how programs within chronic disease prevention are working to eliminate health disparities, and resources to assist staff with understanding health equity concepts. Since the development of the training, it has been offered to new staff within the Section and has been adapted for various audiences, including the Obesity Prevention and Control Program’s school district grantees. Most notably, the Division of Public Health adapted the training to include it in a series of quality improvement trainings for all division staff. Brian Penner, Deputy Program Manager for the Tobacco Prevention and Control Program, went through the health equity 101 training after being hired in December, 2014. He stated that he was impressed the Section offered such a training because it indicates that health equity is a priority for the Section. For the Section, implementing a health equity 101 training was a simple first step to begin building capacity of the public health workforce to address health inequities. Even so, there are many other opportunities for the Section, partners and policy makers to develop innovative solutions to dig deeper to address the problem of health inequities. For example, Healthy Alaskans 2020 (HA2020) included poverty and education measures — two of the most important predictors of an individual’s health — as part of the top 25 health priorities for Alaska. Actions such as these have the potential to create a culture where health inequities are no longer acceptable. Joint Center for Political and Economic Studies. The economic burden of health inequalities in the United States. 2009. Washington, DC. Available at http://jointcenter.org/research/fact-sheet-economic-burden-health-inequalities-united-states. Role of the State and Territorial Health Official in Promoting Health Equity, Association of State and Territorial Health Officials, 2013.